This homemade pizza is one of my favorites. It is very easy to make and my kids love it. 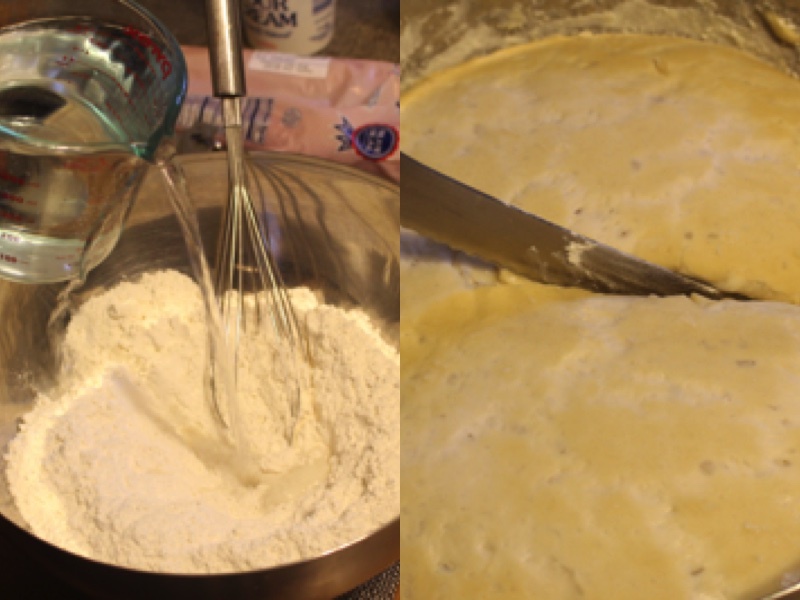 1) Add flour into a big bowl with all of the ingredients and mix it well. 2) Sprinkle some flour onto a tray and then put all the dough on top of it. Knead the dough until it is smooth and elastic for about 8 minutes. 3) Lightly grease the bowl with oil and then add the dough in there. Cover it with something ( i used paper towel or a towel ) to let the dough rise until double in bulk. It takes 1 1/2 hour to rise. 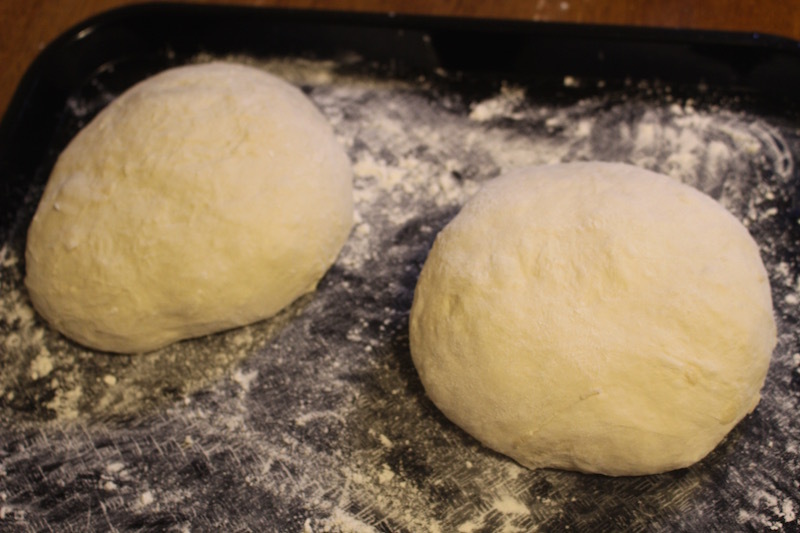 5) Shape the dough into two ball shapes. 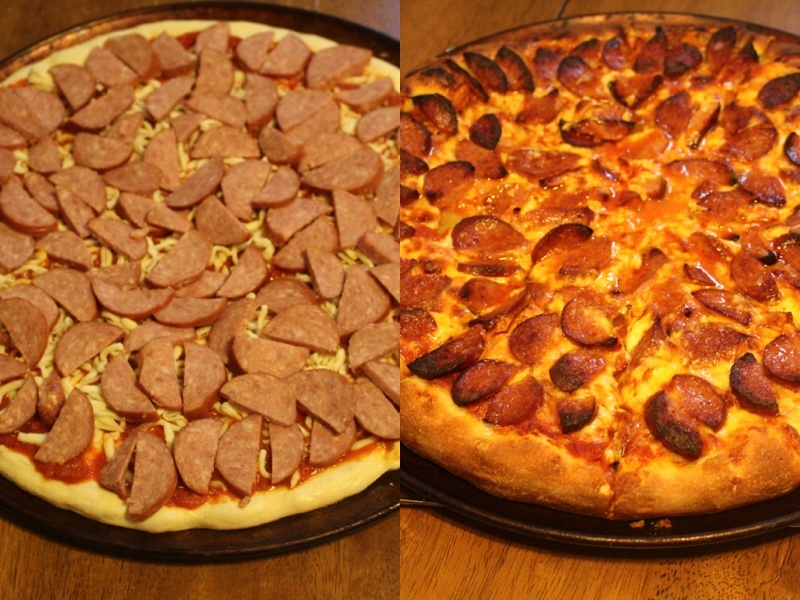 We are going to use only one for this pizza and i used the other to make a different kind. I will post the recipe to that one as well. 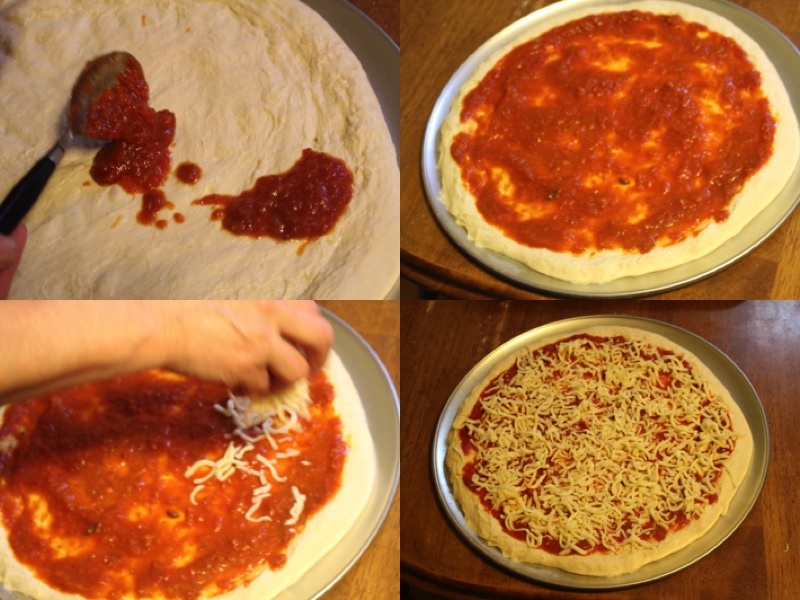 6) Spray pizza pan with stick resistance spray and then place the dough in the middle. 7)Spread out the dough with both of your hands to make it spread across the whole pan. 9) Place kielbasa onto of the cheeses layer. 10) Place the pizza in the oven and let it bake for 20 minutes at 400 F until it is a light golden color. 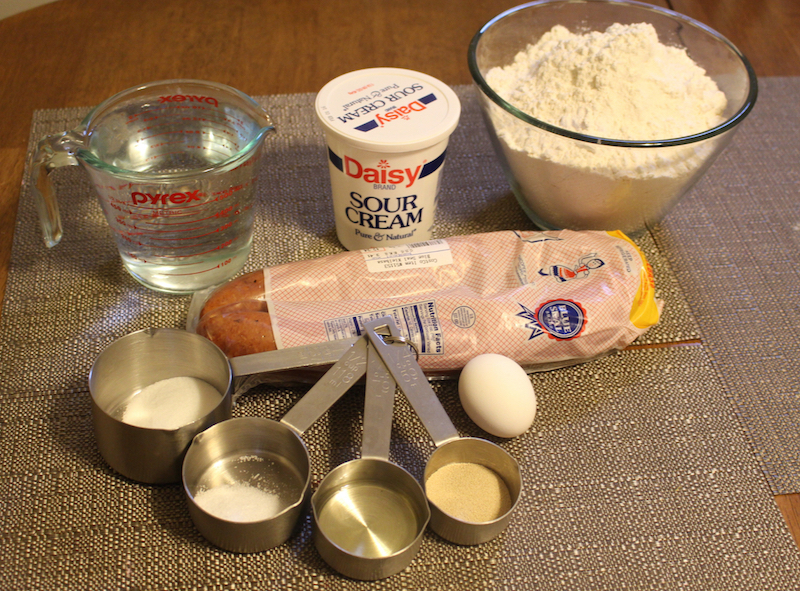 Add flour into a big bowl with all of the ingredients and mix it well. Sprinkle some flour onto a tray and then put all the dough on top of it. Knead the dough until it is smooth and elastic for about 8 minutes. Lightly grease the bowl with oil and then add the dough in there. Cover it with something ( i used paper towel or a towel ) to let the dough rise until double in bulk. It takes 1½ hour to rise. Shape the dough into two ball shapes. We are going to use only one for this pizza and i used the other to make a different kind. I will post the recipe to that one as well. Spray pizza pan with stick resistance spray and then place the dough in the middle. 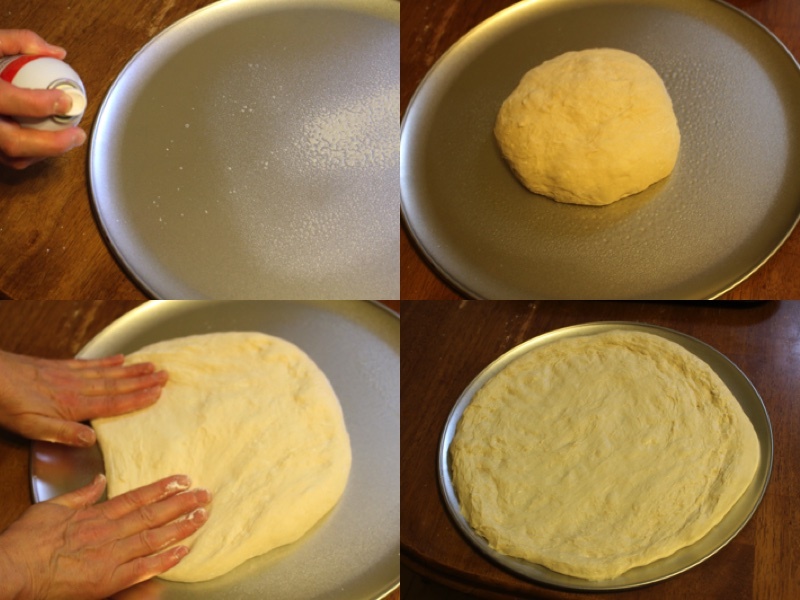 Spread out the dough with both of your hands to make it spread across the whole pan. 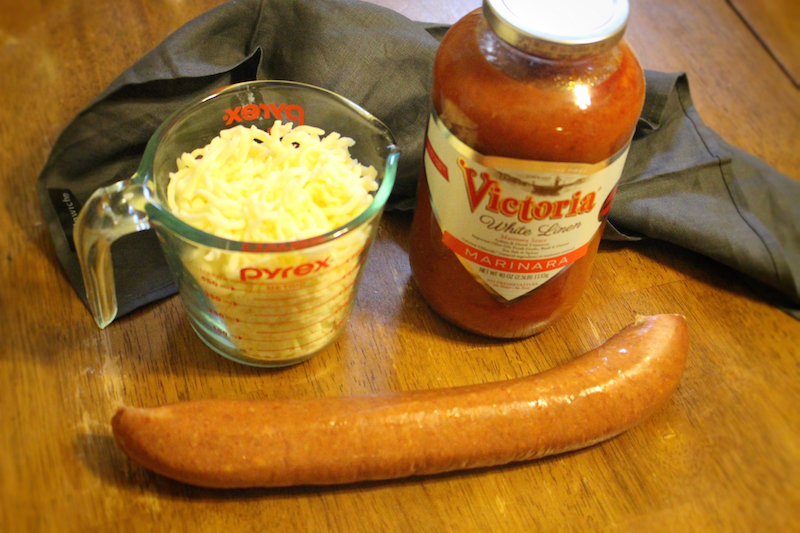 Place kielbasa onto of the cheeses layer. Place the pizza in the oven and let it bake for 20 minutes at 400 F until it is a light golden color. 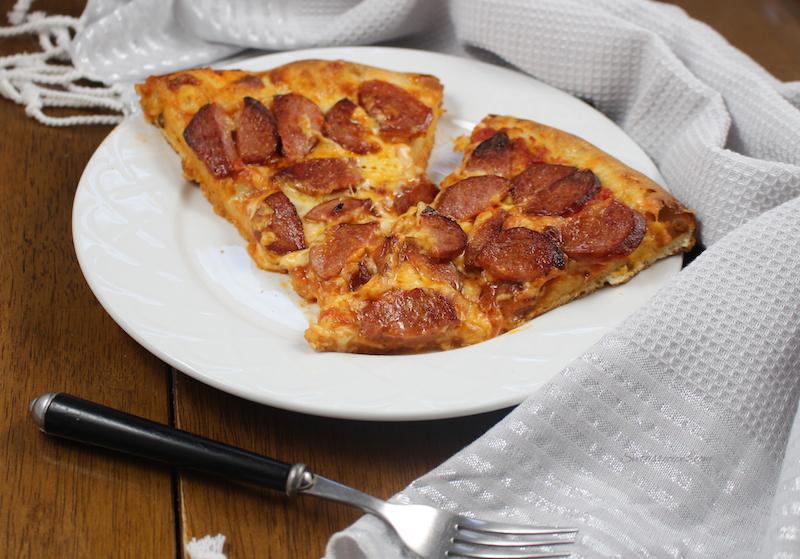 Love this kielbasa pizza! It truly is a fabulous recipe!